Case of 12 jars is $100, for smaller quantities please send an email to customerservice@honeybunny.ca. As sustainable beekeepers, we’re committed to happy bees, healthy hives and gentle harvesting techniques that retain honey’s natural goodness and flavour. Our entire process, from hive to honey jar, is free from chemicals, pesticides and antibiotics. 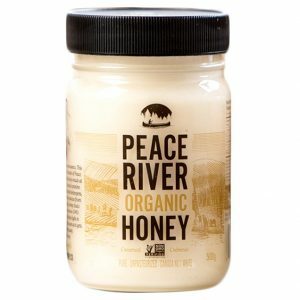 Our honey is creamed rather than heat treated to preserve its subtle flavour notes and its natural nutrients and vitamins. 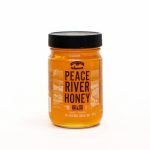 Be the first to review “Peace River Organic Honey” Click here to cancel reply. Honey Bunny © 2019. All Rights Reserved.